Very compact habit. Good foliage with leaves having a woolly indumentum. Trusses of cream flowers tinged pale pink with orange-yellow spotting inside, opening from salmony-pink buds n late spring. Very free flowering. 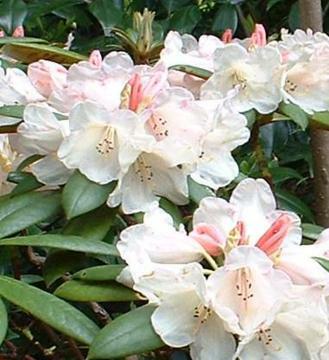 A R. yakushimanum hybrid, the most compact of the 'Seven Dwarfs' series.